The arrest of an engineer at Apple shows how those engaged in industrial espionage will update their tradecraft in response to new company safeguards. Chinese ambitions in low-Earth orbit and beyond have generated talk of a Space Race 2.0, but don't expect a repeat of the old Cold War competition between the United States and Soviet Union. Russian Defense Minister Sergei Shoigu traveled to China on Oct. 18 to meet the deputy chief of China’s Central Military Council, Zhang Youxia, before the two officials chair the 23rd meeting of the joint inter-governmental commission for military-technical cooperation on Oct. 19, Russian state-run news service TASS reported. What happens when governments refuse to function? The final decades of China's Ming dynasty offer a historical analogy. Russian Prime Minister Dmitry Medvedev will participate in a regular bilateral meeting with Chinese Premier Li Keqiang on Nov. 1, BBC Monitoring reported. The country's new strategy will take some getting used to after centuries spent in the service of a largely self-contained geopolitical theory. But its perils and imperatives will be familiar to the Middle Kingdom. As the Communist Party prepares for an extensive leadership change, President Xi Jinping continues to strengthen his hold on the country's military. Stratfor's weekly intelligence digest explores key events from the previous seven days and looks ahead to what matters in the coming period. In an effort to put additional pressure on North Korea and its expanding missile programs, the Cabinet Office of Japan has approved new sanctions on four Chinese companies, two Namibian firms and one individual each from China and North Korea, Japan Times reported Aug. 25. Stratfor Latin America Analyst Reggie Thompson joins the podcast to offer some context on exactly how things are changing in Venezuela and what that country’s future looks like. Stratfor Senior Asia-Pacific Analyst Zhixing Zhang discusses China's ambitious, 65-nation project. This is an internal Stratfor document listing significant meetings and events for the next week. Next week, the United Kingdom will trigger Article 50 of the Treaty of Lisbon to start the Brexit process. U.S.-Russia relations have swung back to their default, tense setting -- at least for now. The fight for ownership of the powerful gene-editing technique known as CRISPR-Cas9 is over, at least for now. The victor in the patent case, however, is less important than the fact that policy continues to lag behind scientific progress. Zhixing Zhang focuses on political, security and economic issues pertaining to China and Southeast Asia. Her areas of focus include China's foreign policy and socio-political development, maritime conflicts in the South and East China seas, and political and economic development in Southeast Asia. Ms. Zhang is a native of China. She graduated from China's Peking University, with a major in political science. 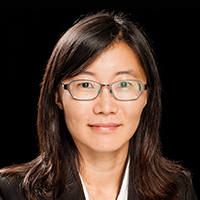 She received her first master's degree from Renmin University of China, and her second master's in public policy under full fellowship from the University of Texas at Austin. Ms. Zhang is fluent in Mandarin and English. Pro-democracy activists in Hong Kong protested the arrival of Zhang Dejiang, a powerful Beijing official, on May 18, Quartz reported. Saudi Arabia reshuffled key ministries as part of its preparations for economic reform. Leaders who oppose Beijing's structural policies may risk being removed from their posts. Beijing's investigation into corruption in Hebei province could be the forerunner of a more focused campaign against provincial political leaders who oppose its structural policies.